Plex Pass Review - Is it worth the money? Plex Pass Review – Is it worth the money? Plex makes one of the best media servers around. Its subscription-based Plex Pass unlocks more features in the Plex Media Server. But does it really make sense to upgrade? This Plex Pass review will help you decide if the premium version of Plex is worth the money. First we’ll start with an introduction to the free version of Plex. Then, we’ll dive into the enhanced features you unlock with a premium Plex Pass subscription. Next I’ll give you my personal take on the strengths and weaknesses of Plex Pass. Finally, we’ll take a look at the 3 main categories of Plex users that would benefit the most from upgrading to Plex Pass. Final Thoughts: Is Plex Pass Worth the Money? Plex is a convenient way to organize and stream your personal media on your home network and access it from anywhere in the world. 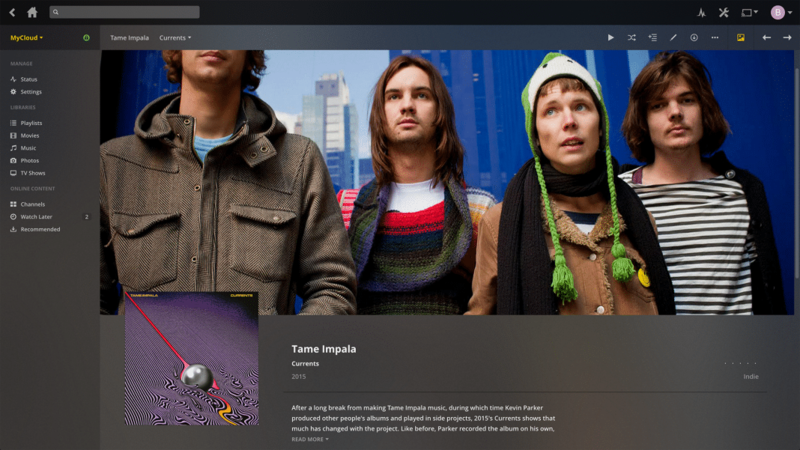 Plex evolved from an open source media platform called Xbox Media Center (XBMC). Its developers decided to follow a different path when they splintered off to turn XMBC into a commercial product called Plex. The Plex system consists of two main pieces of software: the Plex server and the Plex app. The Plex server organizes and stores all of your personal media files. Once you setup the server, you can use the Plex app to connect to your library and play high quality streams. You have to register with Plex before you can download the software, but you don’t have to pay anything. The basic version of Plex is completely free. But there is a catch when it comes to the Plex smartphone and tablet apps. The apps themselves are free, but they’re useless. The free version of Plex watermarks your photos and caps your audio and video streams at one minute. To get rid of these limitations, you have to either make an in-app purchase or get the Plex Pass. The Plex Media Server scans all of the music in your digital libraries and organizes them into a single interface. Along the way, it loads in cover art and adds artist information. Channels extend the Plex experience by bringing in streaming media from online sources like internet radio or YouTube. Each channel is developed and supported by members of Plex’s volunteer community. Channels with the strongest support get featured within Plex’s Channel Directory. With remote sharing on, Plex isn’t limited to your home network. You can set up Plex Media Server to accept incoming connections from your laptop or mobile device. This lets you stream your media from work or while traveling. You can also share access to the server with friends and family. Privacy is one of Plex’s main selling points. All of your media stays on your network. The Plex Media Server stores its files locally as well. That means nobody at Plex headquarters can see your media libraries. When you use remote access, the Plex app and Plex Media Server create a secure, encrypted connection that prevents anyone from seeing your content. Plex created the Plex Pass subscription service to provide a more enhanced experience and to make the money it needs to continue developing its products. The $5 monthly subscription is ideal for trying out the service to see if you like it. However, committing to the annual subscription provides substantial savings. At $40-per-year, it’s like getting twelve months for the price of eight. Anyone really committed to supporting Plex can get a $120 Lifetime Plex Pass. A Lifetime Plex Pass might protect you from future price increases. However, it’s worth noting here that Plex grandfathered in existing subscribers when it raised the subscription price from its original $4-per-month cost in 2014. Plex Pass enhances your music experience by helping you rediscover forgotten tracks using a feature called audio fingerprinting. Audio fingerprinting creates playlists out of songs that are similar to your favorites. You can even use fingerprinting to generate playlists based on your mood. In addition to generating playlists, audio fingerprinting also pulls in metadata (song lyrics, album reviews, etc.) for all your audio tracks. The enhanced features unlocked with Plex Pass makes it even easier to find things in your photo and video libraries. A timeline view takes the hassle out of looking through folders. Automated image-tagging recognizes objects, scenes, and GPS coordinates. With a click, you can bring up similar images that you forgot you took. Plex Pass unlocks the smartphone and tablet apps, removing their crippling limitations. The subscription also adds a couple of truly convenient features to the mobile experience: photo uploads and mobile sync. Photo uploads eliminates the need to manually transfer new pictures and videos into your media library. The minute you get home and connect to your wireless network, the Plex app on your phone automatically transfers your files to the Plex server. Mobile sync works in the other direction by transferring your media files to your smartphone so that local copies of your music, video, and photo files are always available. Plex developed the live TV feature for cordcutters who rely on Plex to fill in the gaps left behind by cable. With the addition of a separate TV tuner and a high definition antenna, you can stream over-the-air broadcasts to all your devices. The included electronic programming guide lets you record programs to play later. Unlike the “cloud DVR” systems from many online services, the only limit to the number of programs you can record is the amount of room on your hard drive. Over-the-air broadcasts deliver an added benefit: video quality. Unlike cable companies or streaming services, most TV stations broadcast their high definition signals without compression. This means that you always get the highest quality video possible. The Plex Home feature lets you use a single Plex account to create up to fifteen user accounts on the home network. This gives parents the ability to limit the content and features their kids can access and create a guest account for the baby sitter. The Plex website makes a big deal about how Plex Cloud uses your Google Drive, Dropbox, or Microsoft OneDrive account to “stream all of your media”. Just link your online storage account with Plex, they claim, and you will be “up and running in sixty seconds”. But the Plex marketing folks don’t say anything about the time it takes to upload your media files or about the cost of storing large media libraries in the cloud. Even the Getting Started with Plex Cloud page claims it lets you “do away with” the need for a local server. The Plex tech support folks look at things differently. They make it clear that Plex Cloud is “designed for more selective uploading of specific content you choose” and that even trying to upload large libraries could fail. They go on to explain that, not only will you need to wait for files to upload, you must also wait for Plex Media Server to transcode the files into an optimized format before the upload even begins. One final note: Plex Cloud can’t see the media files that you’ve already stored on other cloud platforms like Dropbox, Google Drive, or Microsoft OneDrive. It can only see the files that your Plex Media Server has optimized and uploaded. If you’ve already stored your media files elsewhere, you will have to upload them all over again. Plex’s partners offer discounts and promotions to Plex Pass subscribers. Plex also gives its members early access to new features as part of an expanded beta testing program. The live TV support and DVR capabilities that you get with Plex Plus are great. Unfortunately, the way Plex approached mobile and cloud integration raises significant question marks. The free Plex service provides an attractive, central interface for managing and streaming all of your digital media files. Features like expansion channels, encrypted remote access, and broad codec support add even more value. Plex Pass gives you high-quality video streams with unlimited DVR recording and the ability to stream remotely from anywhere in the world. You won’t find that combination anywhere else. The reality doesn’t match up with Plex’s much-hyped cloud-based solution. You will end up waiting for hours or even days while the Plex Media Server creates and uploads optimized versions of your media files. The process is prone to failure and the limited cloud storage space is another annoyance. The full version of Plex’s mobile apps are superb. The photo upload and mobile syncing features provide a flexible, convenient, and easy way to access your personal media library while on the road. Four points off, however, for the cheesy way Plex hobbles its “free” mobile apps by limiting playback to sixty seconds and watermarking all of your photos. Despite its weak cloud storage feature, cordcutters, families and fans of the Plex brand might find that it’s worth it to upgrade to Plex Plus. The support for watching and recording live TV makes Plex Pass a must-have for cordcutters. The combination of an electronic programming guide, unlimited DVR capacity and remote access gives Plex Pass a distinct advantage over other software. The Plex Home feature gives parents control over what their kids can access. Additionally, sharing family photos and videos with the extended family becomes easier with the access controls and Plex’s remote sharing features. Grandparents can see the latest pictures and videos of their grandkids over an encrypted connection that keeps the cherished memories at home where they belong. Plex Pass combines a lot of nice-to-haves into a single package that could make it worth the price. Automatic playlists and recommendations help resurface audio tracks lost in large libraries. Camera uploads and mobile syncing eliminate the hassles of manually transferring files to your phone and back. Additionally, gadget discounts and access to beta features are both nice rewards for supporting the brand.